In addition to the property development and property holding business, the Group commenced its property financing business in 2012 to provide short-term property financing to borrowers, primarily through Entrusted Loan arrangements in China. An Entrusted Loan arrangement is adopted to structure loans between business enterprises. 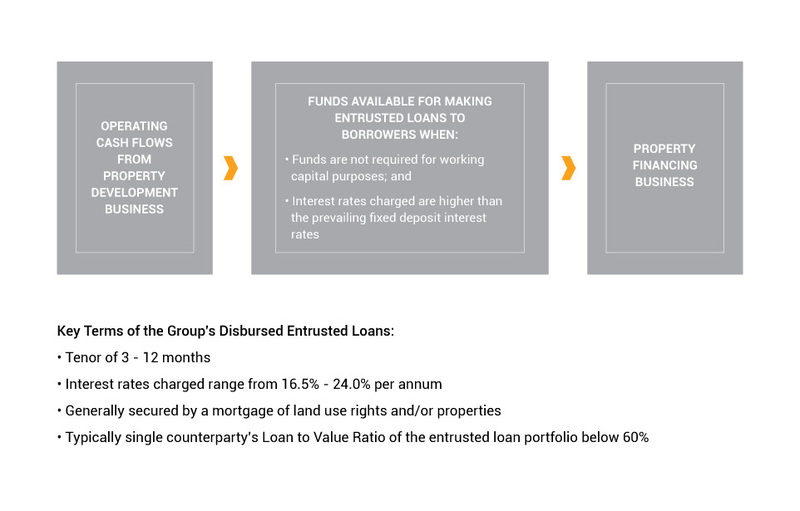 The Group enters into the Entrusted Loan arrangement as an Entrusted Party to provide loan to a borrower through a PRC-incorporated and licensed financial institution, which acts as a lending agent for the Group to administer the entrusted funds vis-à-vis the borrower in its fiduciary capacity to the Group. 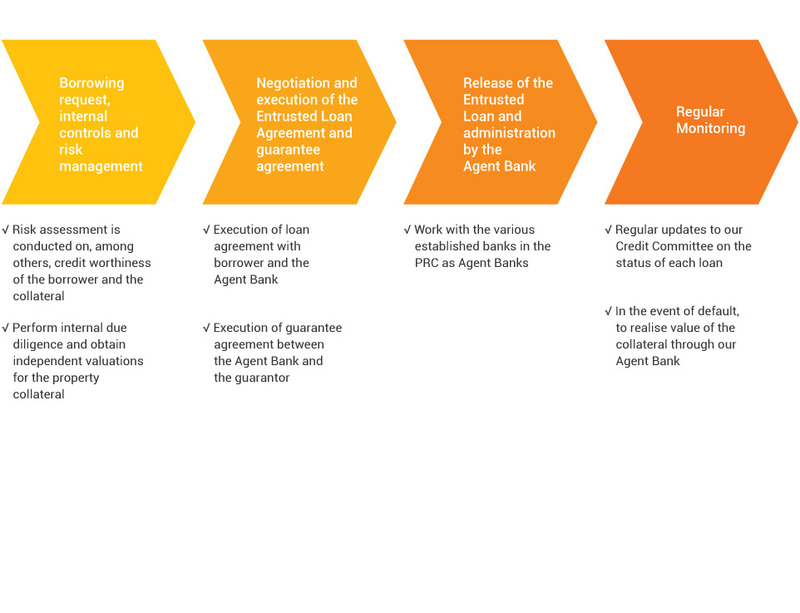 The Group adopts a stringent selection criteria in the evaluation of potential transactions and disburse loans prudently in transactions, taking into account appropriate capital management measures, such as whether the potential transaction has an appropriate loan to value ratio. Since its establishment, the Property Financing Business has been funded mainly by the cash flows from our Property Development Business.